The Apex Court has re-notified the Report of the committee on in-House procedure that had been developed in 1999 in order to deal with allegations of misdemeanor against Judges, including accusations of sexual harassment against Judges of Supreme Court and High Courts. The Supreme Court, at its Full Court Meeting held on December 15, 1999 unanimously adopted the Report of the Committee comprising of three Supreme Court judges — Justice S.C. Agrawal, Justice A.S. Anand, and Justice S.P. Bharucha — and two senior-most Chief Justices of High Courts — Justice P.S. Misra of the Andhra Pradesh High Court and Justice D.P. Mohapatra of the Allahabad High Court. The report was adopted with certain amendments to lay down the “in-house procedure”, for taking suitable remedial action against judges, who by their acts of omission or commission, do not follow the accepted values of judicial life, including the ideals expressed by the Supreme Court in the “Restatement of Values of Judicial Life”. According to this In-house procedure, when a complaint is received against a Judge of the High Court, by the Chief Justice of the High Court, he shall first examine it himself. If it is found by him that it is frivolous or directly related to the merits of a substantive decision in a judicial matter or does not involve any serious complaint of misconduct or impropriety, he shall file the complaint and inform the CJI accordingly. If however, it is found by him that that the complaint is of a serious nature, involving misconduct or impropriety, he shall ask for the response thereto of the concerned Judge. If on a consideration of the allegations in the complaint, in the light of the response of the concerned Judge, the Chief Justice of the High Court is satisfied that no further action is necessary, he shall file the complaint and inform the CJI accordingly. Further, if the Chief Justice of the High Court is of the opinion that the allegations contained in the complaint need a deeper probe, he shall forward to the CJI, the complaint and the response of the Judge concerned along with his comments. The notification arrives in furtherance of a recent judgment of the apex Court wherein a Bench comprising of Justice J.S. Khehar and Justice Arun Mishra has urged the Registry to upload the in-house mechanism in public domain on the website, in order to reinstate the mechanism and bring in transparency into the entire process. In the judgment delivered on 18th December, the Court had quashed the inquiry initiated by the Madhya Pradesh High Court into the sexual harassment accusations by a woman Judge against a sitting High Court Judge. The Court had also directed the Chief Justice of the High Court to divest the accused Judge of the administrative and supervisory control vested in him, in order to ensure that the investigative process in fair and just. 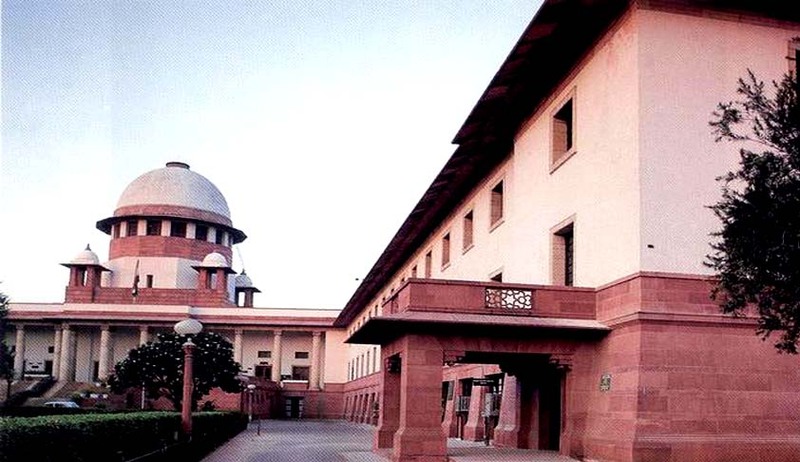 The Court directed that the Chief Justice of India may reinitiate the investigative process, under the “in-house procedure”, by vesting the authority required to be discharged by the Chief Justice of the concerned High Court, to a Chief Justice of some other High Court, or alternatively, the Chief Justice of India may himself assume the said role. It had also observed that by constituting a “two-Judge Committee”, the Chief Justice of the High Court had transverse beyond his jurisdictional authority under the “in house procedure”. The female Judge had alleged being sexually harassed by her administrative Judge. She subsequently alleged that she had to resign to guard her “dignity, womanhood and self-esteem”. Read the LiveLaw story here. The HC Judge had however denied all allegations and has reportedly offered to face any probe by any agency including an investigating agency, ready to “face any penalty, even the death penalty”. A few female lawyers had then demanded an impeachment proceeding against the Judge. Access the LiveLaw coverage of the case here.